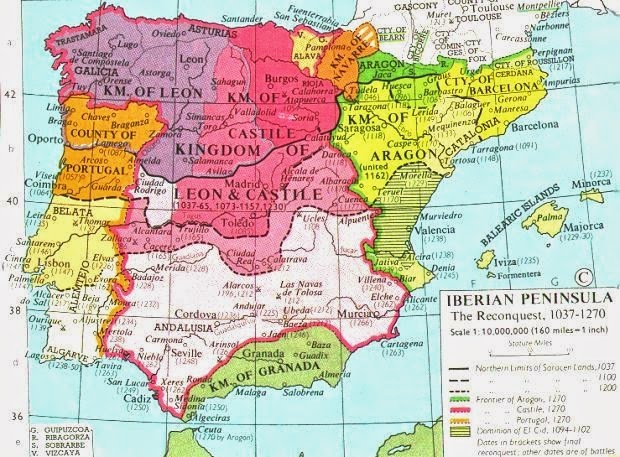 "In the former Kingdom of León (the presence of Jews) was much larger, among the most prominent communities being those of Zamora, Valladolid, Mayorga, Medina del Campo, Salamanca, Ponferrada, Bobadilla and Ciudad Rodrigo"
"The last Rabinnical authority of Castile (and León), likewise its last Gaon, was Isaac Campanton, among whose pupils were Isaac de León, Isaac Aboab (referring to the II) and Samuel Al Valensi. The last preachers of renown were the religious philosopher Joseph ibn Shem-Tob, Joseph Albo, and Isaac Arama". The number of immigrants amounted to nearly 100,000. From Castile alone more than 3,000 persons embarked at Benevento for Bragança; at Zamora, more than 30,000 for Miranda; from Ciudad-Rodrigo for Villar, more than 35,000; from Alcantara for Marvão, more than 15,000; and from Badajoz for Elvas, more than 10,000—in all more than 93,000 persons (Bernaldez, in A. de Castro, "Historia de los Judios en España," p. 143). Section Under John II in Portugal Entry. 1- It is not clear why the Encyplopedia authors decided adding this information in this section. Campanton and its pupils were known for applying Torah, Talmud and Kabbalah to interpretations of the Scriptures.